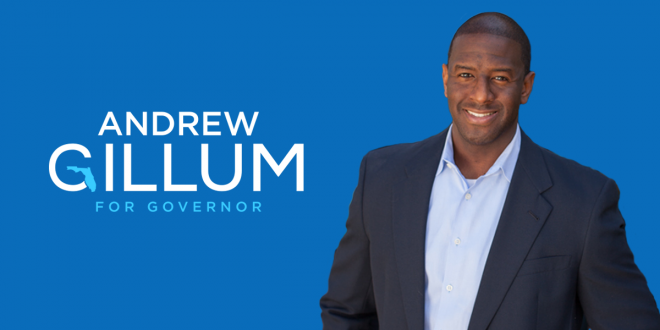 FLORIDA: Tom Steyer To Spend $5M Backing Gillum - Joe.My.God. Tom Steyer, the billionaire investor and Democratic activist, has directed his political operation to spend more than $5 million aiding Andrew Gillum’s campaign for governor of Florida, an enormous investment that will test whether fired-up Democratic voters can flip control of a state long dominated by Republicans. The campaign between Mr. Gillum, who is the progressive mayor of Tallahassee, and Representative Ron DeSantis, a conservative lawmaker who has aligned himself closely with the White House, has become one of the clearest contests of strength nationwide between the Democratic Party’s rising liberal wing and the Republican Party as President Trump has reshaped it.